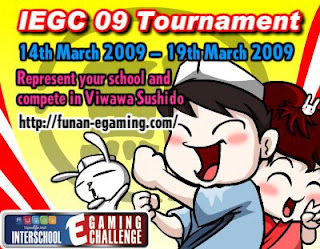 Represent your school to be the best of the best Sushi Chef in Interschool E-gaming Challenge 2009, Viwawa Sushido Competition. Click here for more details and registration. Registration is still open!